stop-start engine technology designed to save fuel and lower emissions. accessories such as CD player, HVAC, and power windows while the engine is stopped in those situations. load, and vehicle speed to determine whether shutting down the engine would be more efficient than allowing it to run as normal. 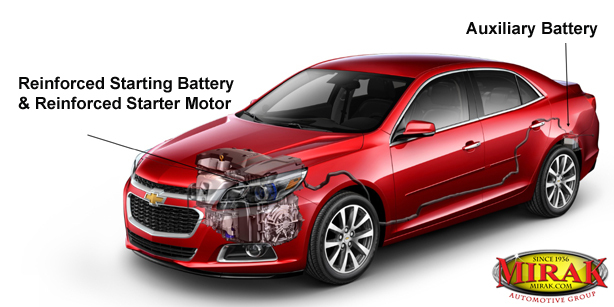 Learn more about the 2014 Chevrolet Malibu here. 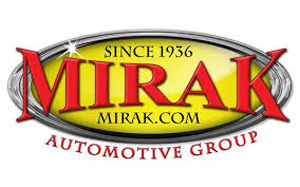 Mirak Chevrolet has been a Boston Area Chevy Dealer since 1936.
efficient than allowing it to run as normal. Why Are Customer Reviews So Important? 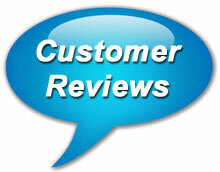 Today, reviews are very popular and available in many forms. Reviews for a business, service, product, movies, food- you name it, there are reviews out there on pretty much everything. Reading a review gives a consumer good insight on what to expect for a customer-to-business experience. Many review sites like Google+ or Yelp are a great way to investigate a business before you visit. You can read several reviews and get an idea whether or not this place is for you or not. If you see business reviews that are entirely negative with no response back from the business, then you will realize you would more than likely have a negative experience yourself. This indicates that they probably do not care or are not too concerned. Otherwise they would have responded. On the other hand, if a an establishment has many good reviews and a few bad ones, then chances are if the good outweigh the bad, then this place would give you your money’s worth and will likely be a good experience. I would not be overly concerned with a few bad reviews. Lets face it- no business is perfect. It’s also true that some customers will not be happy regardless of what efforts a business takes to please them. A few mistakes or mishaps does not render a place bad. To add a positive note, if a business replies back to a review- it shows they care. You can tell a lot about a business on how they respond. Do they take ownership in any fault or mistake? Do they show genuine concern and reach out to an unhappy customer? Or does this business argue and place blame back on the customer? The manner in which a business replies allows you to gauge how they would treat you if you had an issue with the product or service. Today a customer can go wherever they want and buy whatever they want. So paying attention to reviews should be part of a dealership’s daily tasks. 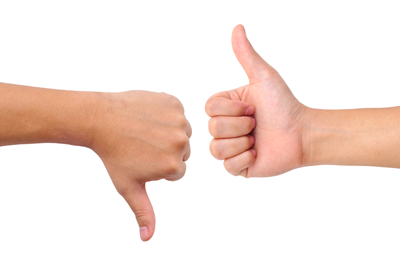 There are so many options today for reviews that it can be quite overwhelming. Yelp.com, Google+, Edmunds.com, Cars.com and DealerRater.com are among the most popular. It seems like every day there’s a new one coming along. We have a good reputation on each of these sites right now- and we work hard to maintain it. We truly want to ensure a positive customer experience for everyone who visits our service or sales departments. Here is a link to Mirak Chevrolet reviews, where you can view all of our recent customer reviews in real time. We read each one of these reviews and reply to everyone. Whether it is just thanking our customer for taking the time to share their review or to let them know we appreciate their feedback, and we’ll have a manager call to follow up. This may seem like a lot of work for a business, but having consistently happy customers in today’s market is more than worth the effort. So besides letting the public know we are a good place to do business, this helps us make sure we are doing our job right. The all new 2015 Chevrolet Colorado will go on sale as a midsize pickup truck with a choice of nine exterior colors, with a tenth color to be added in 2014. Scheduled to go on sale in the Boston Area next Fall, the redesigned Colorado will become available in Laser Blue, Cyber Gray Metallic, Brownstone Metallic, Silver Ice Metallic, Red Rock Metallic, Red Hot, Summit White, Black, and Rain Forest Green. The tenth color is slated to be Rally Yellow, although Chevy has not yet to announced a debut date for this color. The 2015 Colorado is expected to have the highest payload capacity in its class and trailering capacity of more than 6,700 pounds- also the best in it’s class. For more info, please visit our 2015 Chevy Colorado Page. Mirak Chevrolet is a Boston Area Chevy dealer. Uber- What is Uber ? 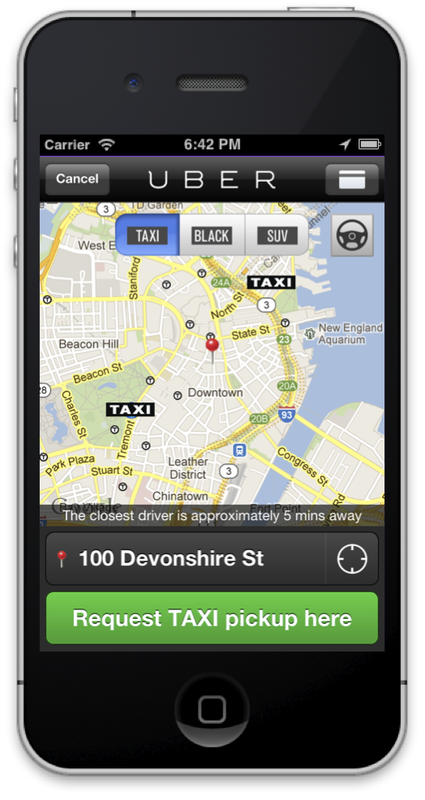 Uber is a company that specializes in on-demand transportation. The service is available in several markets around the country and in some of those markets, Uber is having a hard time getting enough vehicles on the road to support the demand. Uber has worked out a deal with some major auto manufactures and financing firms to help alleviate that problem. Uber needs to get more drivers on the road supporting its service. The company has partnered with GM and financing companies to help ensure drivers qualified for its service can get financing at better rates than they could get on their own. Uber is making it less costly for buyers to get a car if they want to be an Uber driver. Uber is able to predict driver income, making it easier to get loans at better rates than drivers could get by themselves. Uber claims that a vehicle utilized fully on Uber can generate a good income. The cash flow for the car means less risk for a lender and results in better rates an loan terms. Uber officials say that it can help drivers save quite a bit on car payments. Drivers that were unable to get financed before may also be able to get cars with Uber’s help. The new program is being trialed in six cities right now where demand is high. Those markets include New York City, Boston, Philadelphia, Chicago, Dallas, and San Francisco. If you are an Uber Driver please feel free to contact us and our friendly staff will be more than happy to help. Sure, about 80 percent of Chevy buyers in the Boston Area either pay cash or finance their purchase with a loan, but you’re considering joining the other one-fifth of consumers willing to forgo ownership for a new set of wheels and the short-term benefits that leasing provides. Maybe you’re self-employed and can write off your leasing payment as a business expense. Or maybe you’re trying to get into a luxury model for less upfront cash. Or maybe you demand the latest safety and technology innovations and don’t want to be saddled with a 60-month loan term. Or maybe you just like driving a new car every couple of years. Most consumers don’t need a new car every few years, but maybe you’re in the minority or maybe you just want one. For many leasing consumers, the monthly payment is the carrot. When interest rates are low, lease payments may be close to payments for buying a car outright. When interest rates go up, leasing becomes more attractive. But even tossing out interest rates, the reliability and quality of new cars can make leasing appealing. It often comes down to residual values, or the worth of a car after several years of ownership, experts say. What’s best for you- buying or leasing? Lower payments and lower interest rates aren’t the only reasons to lease, because leasing also offers purchasing flexibility. Lessees don’t have to worry about owning a depreciating asset (as automakers know all too well) or dealing with hefty repair bills. At the end of the lease term, (assuming they’ve kept the car in good condition and stayed within prescribed mileage limits), they can simply turn in the car and walk away. Of course, those benefits have a price. While it’s fun to have a new car every few years, consumers who lease have nothing to show when the lease is up; they have to either lease another car, or bite the bullet and purchase a car. There are many benefits to leasing beyond lower payments and less taxes. 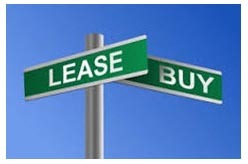 In most cases the lease payment would be the same as a five or six year loan. Consider if you wanted to trade in that same car you had a five or six year loan on, but after only 3 years. At that point you would have some maintenance due. After 3 years of driving a car usually needs brakes,tires and some TLC that is not cheap. Also, at that point, depending upon how much of a down-payment you had, you would more than likely have negative equity. With a lease at the end of term you have options and you can get something different and new without worrying about negative equity. J. Paul Getty (one of the first billionaires in the USA) had a saying , “Buy things that appreciate. Borrow things that depreciate”. This makes sense as every month the new edition of NADA or Kelly Blue Book comes out with used car values, those values always go down. Always. 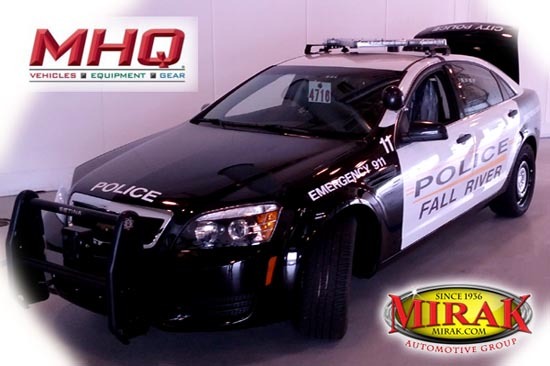 Mirak Chevrolet is now partnering with MHQ to help streamline the upgrading, upfitting, and customizing of your company, municipal, or fleet vehicle. Mirak Chevrolet is proud to be the recommended partner with MHQ. We supply commercial fleet vehicles, from trucks and vans to police cruisers. Our Fleet Team will be happy to assist you with your current fleet or just adding a single additional vehicle. With the GM business choice program geared towards business owners, Mirak Chevrolet can get you into the best vehicle for your business or municipality, equipped with the best accessories and packages that go along with your day-to-day operation. With over 75 years of automotive experience under our working belts, we take pride in making your automotive business needs and decisions quick and simple to get you back on the road FAST! Do You Know Your Chevrolet’s Service Schedule? 2015 Chevy Silverado 3500HD Chassis Cab in the Boston Area- Mirak Chevrolet is the place to go.